Stop Craving Results… Cave Results! 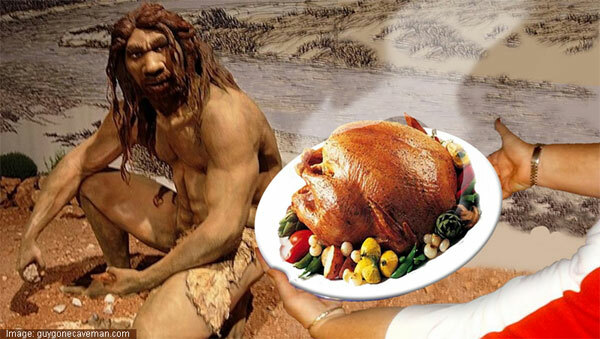 Evolution has led to a lot of great things, but who is to say the cavemen were completely in the dark – Besides the obvious, living in caves thing. I am not a professional body builder, nor am I a scholar or registered nutritionist; but in my personal experience an almost fool-proof approach to gaining lean, hard muscle mass while cutting those excess pounds of body fat, is to go back to the basics. As human beings we tend to obsess, thinking that being such a conscious and domesticated creature we need to find new and improved ways to evolve, to progress. Whether this be in the socio-economical hierarchy of society, in terms of popularity, financial wealth, so on and so fourth – or simply in health. Now this isn’t to say that we shouldn’t look to further ourselves everyday, or become more knowledgeable in all aspects of our lives; but that in trying too hard to do so, we can lose track of the simplicity of it all. In a nutshell, what I am trying to say is people tend to spend far too much time (and money)trying to find the perfect diet or diet plan; when after stripping everything down to basics we already have down-pact. Yes we are civilized animals – but animals non-the-less. 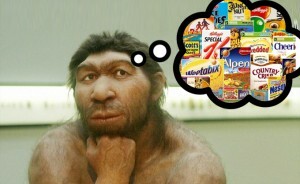 It is that principle this “cave-man” diet is based entirely on – Influenced by the popular “Paleo” diet. Now what does this mean? – Avoid any processed or artificial foods, find and stick to what ratio of each food group works for your body type and activity level, as well as calculate what your recommended daily caloric intake should be and eat accordingly. If you require more carbohydrates, eat more carbs but use proper judgement in doing so. Examples being: brown or whole grain rice opposed to white rice, whole wheat or whole grain breads instead of white, even sweet potatoes versus a regular potato makes all the difference. The same goes for vegetables and fruit – it all comes down to the biggest “bang for your buck” in terms of nutritional value. Take lettuce for example, it has almost nothing to offer; where as it’s close relative’s Kale and Spinach, both pack a detoxing, vitamin rich punch are far better alternatives. 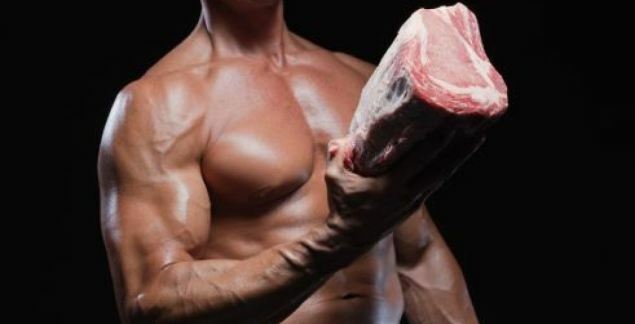 Now – to touch base on meats and proteins, it is good to keep in mind that red meat is full of iron and other important nutrients but also carry a lot more cholesterol and fat than say white meats such as chicken and turkey; solid sources of protein with a much smaller fat content. Other substitutes to these are eggs, beans, fish and nuts – nuts in particular are a good part of any balanced diet as they also serve as carbs and contain essential omega-3 fatty acids which promote good health (Lowers cholesterol, strengthens the heart and aid in fat loss) – fish provide a source of omega-3’s too. Lastly, touching base on dairy products role in all of this – it has no roll. Milk particularly can carry synthetic hormones, antibiotics and other contaminants; added to this other health complications can occur from over consumption of dairy such as raised cholesterol and even in some studies has been linked to cancer. Basically what I’m trying to say with all of this is remember where we came from – as animals;eat like one, and you will be built like one. Sometimes the best option is the simplest. If this has worked for you or becomes a successful nutritional approach to your lives let us know in the comments section.